Wondering if hypnosis for smoking really works? When you need to quit smoking, it can feel like you’re out of options. From quitting cold turkey to nicotine patches, you might have tried it all to no avail. However, you’re not out of options yet. Hypnosis for smoking offers a breakthrough that you can’t get anywhere else. In this guide, I’ll show you exactly how hypnotherapy can help you stop smoking. Keep reading to learn more! Quitting smoking is one of the most unhealthy, yet common, habits there is. Smoking is one of the leading causes of cancer. It makes you more likely to have a stroke or heart attack and often leads to lung diseases. Smoking can even make you more likely to break a bone or develop cataracts. There are many different methods of quitting out there, but they don’t all work for everyone. However, the good news is that scientific studies have actually shown hypnotherapy to be an effective method of quitting when other methods fail. 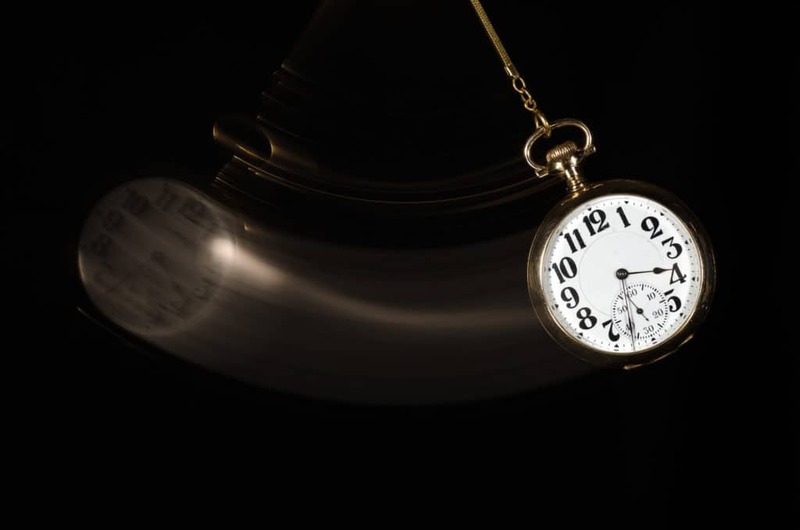 You’ve probably heard of hypnosis before, but you may not yet know just what it is. Hypnosis by definition is an altered kind of awareness. To observers, a hypnotized person often seems like they’re in a trance or sleeping. Hypnotherapy is used to treat all kinds of different issues, including both psychological and physical problems. Since addictions to cigarettes are often physical and psychological at the same time, this is a good way to tackle the issue from multiple angles. Hypnotherapy can help people manage pain, lose weight, and overcome speech disorders, in addition to helping combat addiction. However, people aren’t sure exactly how or why hypnosis works. Some people think being hypnotized lets you relax so you can concentrate and follow suggestions, such as the suggestion to stop smoking. When you undergo hypnosis for smoking, you might look like you’re in a trance, but you’ll actually still be conscious. You’ll maintain awareness of your environment. It’s a common misconception that you can be forced to do things you wouldn’t otherwise do while you’re hypnotized. Although you’ll be more open to suggestions, you’re still completely in control. Surprisingly, studies on the brain during hypnosis show that hypnotized people actually have a lot of neurological activity going on. Rather than being unconscious or in a trance, your brain is actually more active than usual when you’re hypnotized. What is Hypnosis for Smoking? When you do hypnosis for smoking, you might be asked to think about all of the bad things that can come from smoking. Your hypnotherapist might tell you that cigarette smoke smells unpleasant, or that smoking will make your mouth uncomfortably dry. One method of hypnotherapy focuses on three ideas. First, the therapist will instill in you the idea that smoking is poison. Then, they’ll add the idea that you need your body to live. Finally, you’ll be reminded that it’s important to protect and care for your body. Some therapists will also give you self-hypnosis techniques, so you can repeat the affirmations you need whenever you feel tempted to smoke again. How does this work, anyway? While some people may find that they can’t be hypnotized at all, for many people, hypnosis is a very effective form of treatment. Different factors will affect how intensely hypnosis affects you. Many people see the best results when hypnotherapy is combined with other ways to quit smoking. Some studies have shown that hypnosis is an effective way to stop smoking in particular. More studies are needed to figure out exactly why hypnosis is so effective, but something about the state of relaxation it brings on seems to help people give up addictions for good. Hypnotherapy combines guided relaxation with focus and concentration to give you a state of heightened awareness. You can focus completely while you’re in this state, and anything else that would otherwise distract you gets blocked out. This state allows you to focus your attention on particular thoughts or actions, making them much more effective. In addition to quitting smoking, hypnosis is often used as a form of psychotherapy, because it allows you to delve into thoughts, memories, and feelings that otherwise would be left untapped. Hypnotherapy can help you gain a new perspective on things, as well. This is helpful because it allows you to get to the cause of your addiction and completely overhaul your thought process around it. There are a couple of main hypnotherapy methods you might encounter. During suggestion therapy, the state of hypnosis is used to help you respond to suggestions more effectively. This is great for changing behaviors, which is why it’s often used to help people stop smoking. It’s also great for changing sensations and perceptions. With suggestion therapy, you might actually learn to no longer perceive smoking as enjoyable. This is less common in hypnosis for smoking, but can still be useful for some individuals. In the analysis approach, the relaxed hypnotic state is used to explore the psychological root of an issue like an addiction. For example, you might have past trauma, and smoking may have started as a way to cope with it. With analysis, you can address the trauma, which allows you to then address the behavior caused by it. No, there is no danger involved in hypnosis for smoking or any kind of hypnosis. You’re not being brainwashed or mind controlled. Instead, you’re using the power of your own mind to stop smoking for good. In addition to hiring a hypnotherapist, you can also learn hypnosis techniques to use on yourself that will help you stop smoking for good. Hypnosis for smoking can give you the edge you need to finally quit. Don’t wait to get started – your health is on the line. Check out my hypnosis training system here. This entry was posted in Change Habits with Hypnosis, Clinical Hypnosis and tagged hypnosis, Stop Smoking.